At Berico, we believe that clean burning energy is going to fuel the future. This is why we offer a variety of fuels including kerosene, propane, and heating fuel. If you haven’t yet, we invite you to discover the benefits of using home heating fuel. Heating – Kerosene and the heaters only need a match or spark to ignite, meaning they work without any electricity. Kerosene can even be used with certain appliances, given they allow for manual adjustment. This makes kerosene a valuable home heating fuel during power outages and emergencies. Efficiency – Kerosene is an energy-efficient oil. Unlike wood or coal, you need much less Kerosene to provide the same amount of energy. Zoned Heating – Many families opt to heat their home in “zones”. This basically means that they use a kerosene heater in addition to a typical furnace. Zoned heating with kerosene provides a much warmer home, without increasing energy costs. Safe – Kerosene can be a safe home heating fuel. 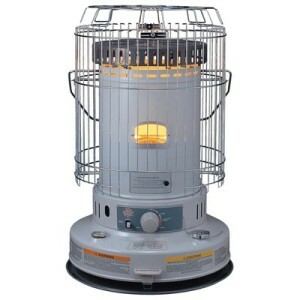 Contrary to popular belief, a kerosene heater can be used indoors. However, it is recommended to allow for ventilation if using a kerosene heater indoors, as carbon monoxide may build up quickly. Cost – Kerosene has been used as a main heat source for decades. This is due to the simplicity, quality and cost. Kerosene heaters and oil cost much less than propane or other heating fuels. Long Shelf Life – Kerosene is a pure home heating fuel, no additives are added for preservation. It can be stored in a plastic or metal container and last for years, if stored right. Berico believes that this product is a great alternative fuel for both businesses and families. We are proud to announce that we currently have a reserve stock of oil. Berico has a true advantage over other local companies, due to our reserve. It’s true that we can provide you with propane, kerosene and home heating fuels when other companies may not. At Berico, Alamance Oil and Carolina Fuels, we offer kerosene delivery in Greensboro, High Point, Burlington, Reidsville, Eden and the surrounding areas. Like our other products, we pride ourselves with our motto, “Always Dependable”. We ensure that your delivery is safe and on time, no matter the time of day. Berico also sells kerosene for both residential and commercial customers. As always, we offer excellent prices and many advantages in the home heating fuel industry. We’ll walk you though the uses, benefits and installation of kerosene and kerosene heaters. Whether you’re looking for a backup heating source, preparing for a major event or are looking to switch to kerosene for home heating fuel, contact Berico today. We offer free evaluations, bonus perks, on-time deliveries and award winning service to all our customers.